On Thursday, February 21st, Montreal-based artist Jessica Eaton will lecture on her work at 6:00 p.m. in Nevins Theater, located in Alfred University’s Powell Campus Center. The event is free and open to the public. Using an experimental, scientific approach to photography, Eaton takes the medium itself as her subject. She deftly constructs a world supported by the camera and conceals her own hand in the process. In her series, ‘Cubes for Albers and Lewitt’, Eaton employs color theory, painting, photography and optics. 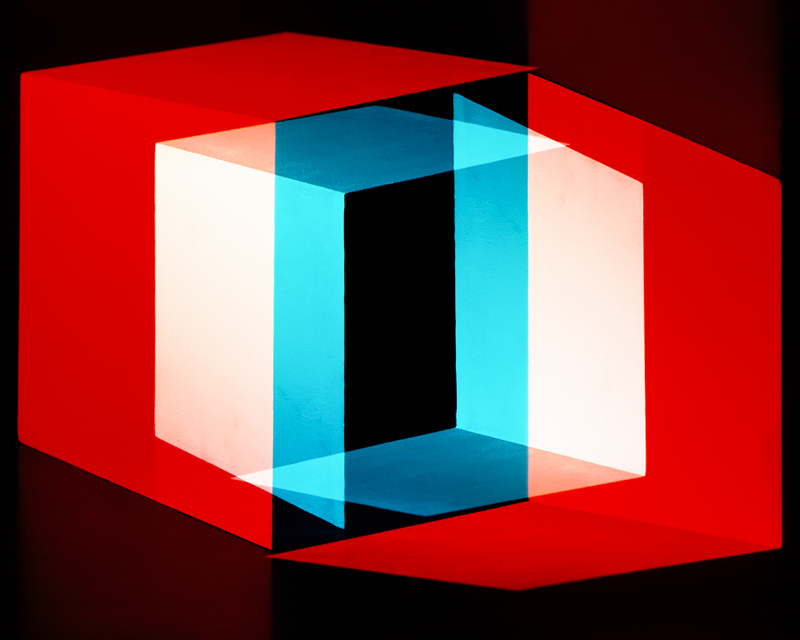 By controlling the color of light and using multiple exposures for additive color, she creates images that reference Josef Alber’s ‘Homage to the Square’ while furthering the dialog of contemporary photography. Jessica Eaton (b 1977) has exhibited nationally and internationally, including solo exhibitions at Higher Pictures in New York and Clint Roenisch in Toronto. She will be included in the Armory Show’s 100th Anniversary exhibition this March. In 2012 she was the winner of the Hyeres International Festival of Fashion and Photography in France. Her work has been featured in FOAM, Art News, Wallpaper and Lay Flat. Eaton received a BFA from Emily Carr in 2006.